Let’s see.. I was over at UPM (Universiti Pertanian Malaysia) Serdang to support the IIU X Team, a multi-sports team I founded a couple years back. I didn’t take part this series so that I can focus more on supporting the team which arrived with the uni’s bus. I was too tired running around completing chores on Friday anyways. Nevertheless, Thank You Faiz, Arif, Nad and everybody else who made the 2 series a successful one, and keeping the X Team spirit up and running. Lydia Tan was back in action and competed in the Open Category together with Hsing Ling. Chan Jun Shen finished numero uno ahead of his closest rival in the sprint duathlon event, and I hope (and believe) that he will retain his title for overall Men’s Uni category. Attended Sofian and Tip’s farewell lunch on Sunday. It was a good catch up session with the couple before they leave Malaysia ! Sofian is starting with a new job in Qatar. All the best OP IM Sofian !!! 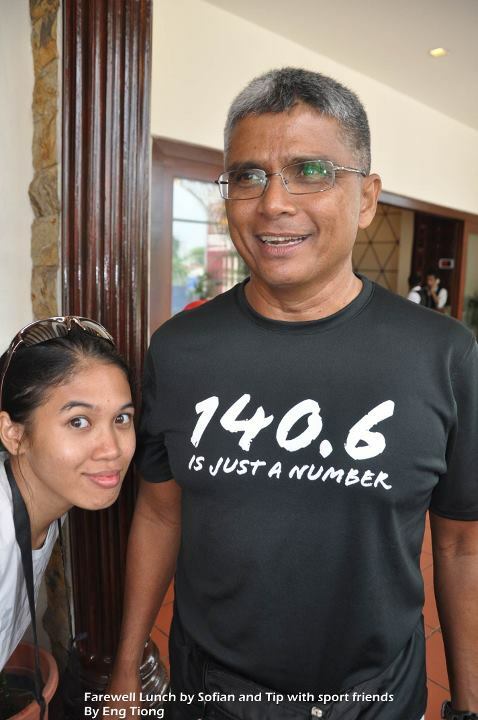 14 times Ironman finisher yo !! Met the others as well — Simon Cross, Paul Lee, Yip, Jason Thiang, Tey Eng Tiong & etc. 🙂 The food was great as well !! 🙂 Thank you again Sofian, and all the best to you ! My Iron friend OP Sofian. Photo courtesy of Tey ! Thanks Tey ! Ain from IIU X Team got 2nd place for Women’s Uni category. A big congratulations to her and the team for the support !! Let’s hope we get another podium for the last series in Universiti Malaya ! My friend Ala just got married last Saturday. Tahniah diucapkan , dan semoga ikatan yang suci ini berkekalan sehingga ke anak cucu. InsyaAllah. 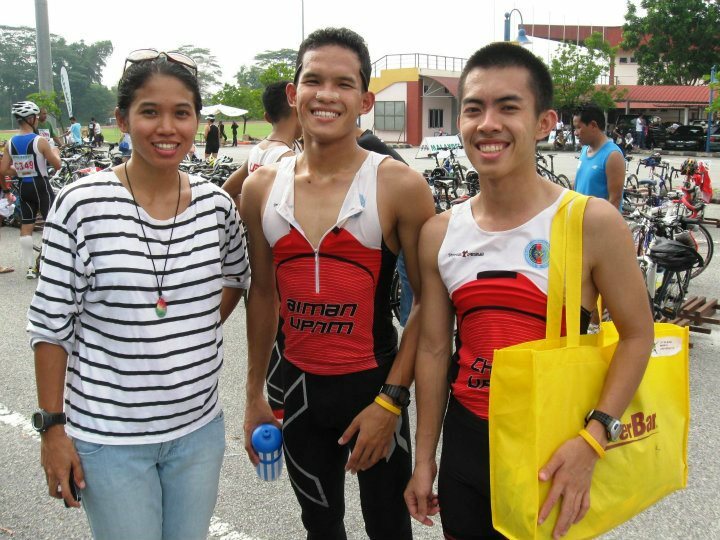 I missed his wedding as (again) I was too tired after the hot and sunny morning supporting the athletes in UPM. I went back home and rested after that instead. Oh yes, congratulations to Ahmad Syazwan Rusli and the rest of his batch mate who graduated and had their graduation last week ! 🙂 Happy for you guys. Saw in the news that the Agong attended the convocation ceremony. Cool much ! I foresee myself getting tired if I continue on without any physical exercise.. i.e. TRAINING. I was huffing and puffing going up a pedestrian bridge this morning. That bad ! I do have my plan laid out for Powerman, so I have to buck up a bit on that. Other than that, it is a new chapter in life for me as I started at my new office and work Monday this week. New colleagues, new bosses, new environment. I’m still green in so many things, meaning ample of room to learn and develop ! Other than that I am expecting to be much busier (maybe not as busy as you guys out there !) but I gotta make sure I balance my life. It is a phrase to common we tend to overlook at its importance. Not only for quality at work but also, on the bigger and longer extend, my life satisfaction. I have (well sort-off) have become the unofficial Cycling Asia spokesperson starting from my debut appearing LIVE on TV3 a couple weeks back on Wanita Hari Ini. Currently in the process of contributing articles for them (watch out for this one !). And just yesterday, they invited me to speak on behalf of them at Bursa Malaysia. Me..? haha.. yeah, I know nuts on anything Bursa/stock exchange !! *sapa free sila tunjuk ajar*. 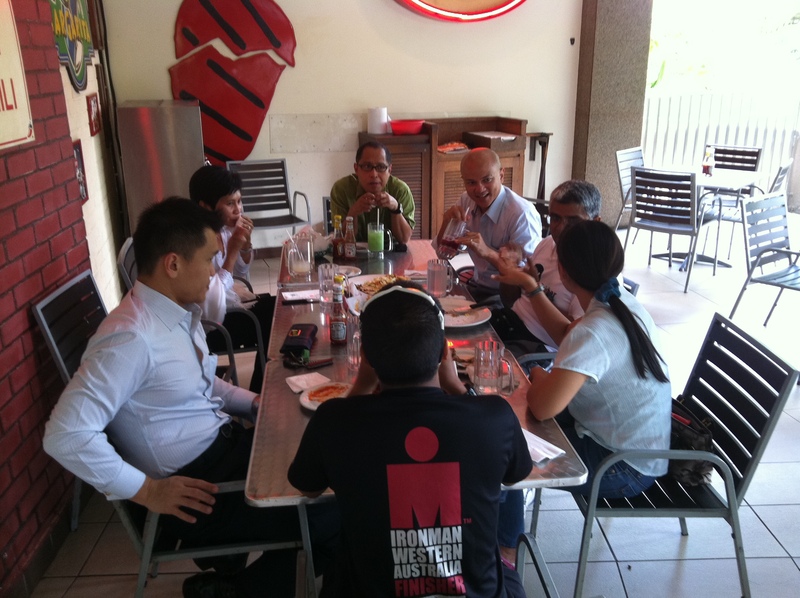 Apparently the Bursa Malaysia Mountain Bike Club is organizing a cycling campaign. A series of talks is organized as to further excite and promote the event to their staffs, and also tenants in the Bursa building i.e. Astro Awani, Citibank etc. I haven’t thought of a topic or how to approach the talk. Will think about it tomorrow. If you have any idea to suggest for me to talk at Bursa, drop in a comment with your suggestions. I will very much appreciate that !! Will be heading to Ipoh/Simpang Pulai this weekend for my 1st KOM event ! Wooohoo !! KOM stands for King of Mountain. It will be a road-cycling event, which requires the participants to cycle uphill all the way ! Heard the course is steep the 1st half… My target is to just finish. No pressure ! I better return to my comfy bunk. Another long day tomorrow. I wish all of you a nice and merry day. Remember to smile and not let other people’s grumble and frown take your day-to-day happiness away from you. YOU deserve the right to be happy and positive. Don’t let anybody take that right away from ya ! Think sunshine, think hope. Salam and cheers from missJeweLz. Before I leave ya.. here’s a song by Herman’s Hermits which I have been head over heels of late. Enjoy ! My sentiMETAL friends. heehee 🙂 We will miss you Sofian ! Looking forward for your updates !